Anthony Berteaux is a junior at San Diego State University, majoring in journalism. Originally born in Los Angeles, he largely grew up in Tokyo, Japan, and has also lived in Hawaii and Northern California. 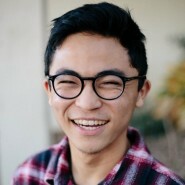 He is the assistant opinion editor for The Daily Aztec and a campus editor-at-large for The Huffington Post. Anthony is a 2015 Tower Tomorrow Fellow. He Saved Gabby Giffords. Can Daniel Hernandez Save Arizona?